Last year—2018—was truly a transformational point in time for all of us on Planet Earth. 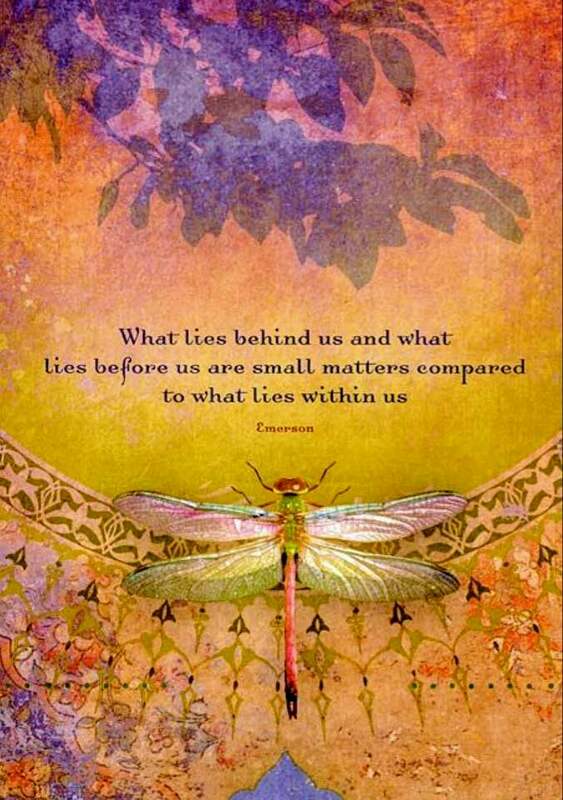 As spirit we human animals who share the physical world stage and who have been endowed by our Creator as the species with the right to set the energy for all life on this planet, made a MAJOR fundamental shift in our collective mind. There are many ways to talk about the new spiritual agreement that we put into place in the consensus reality, that agreement that has dramatically shifted the consciousness of many folks almost overnight. 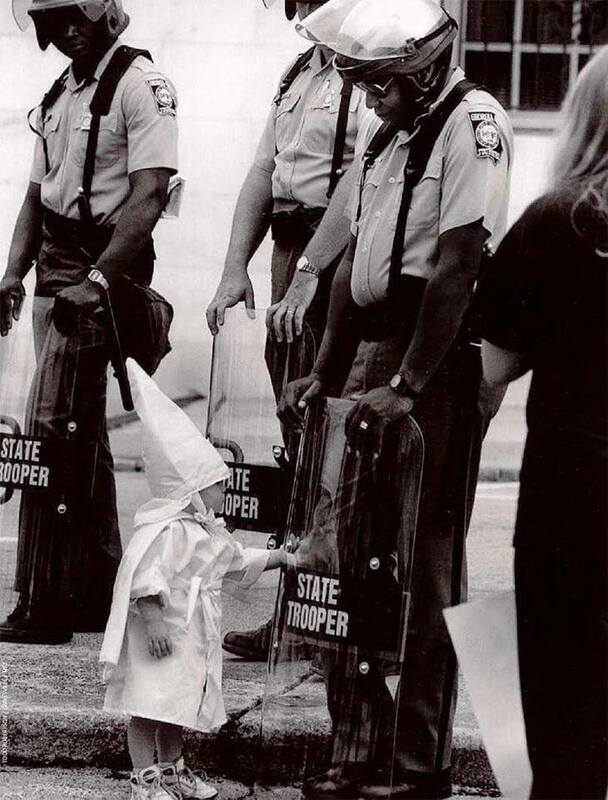 Hatred is a learned behavior. It is not “natural” to humans but it is common. It can and must be unlearned. 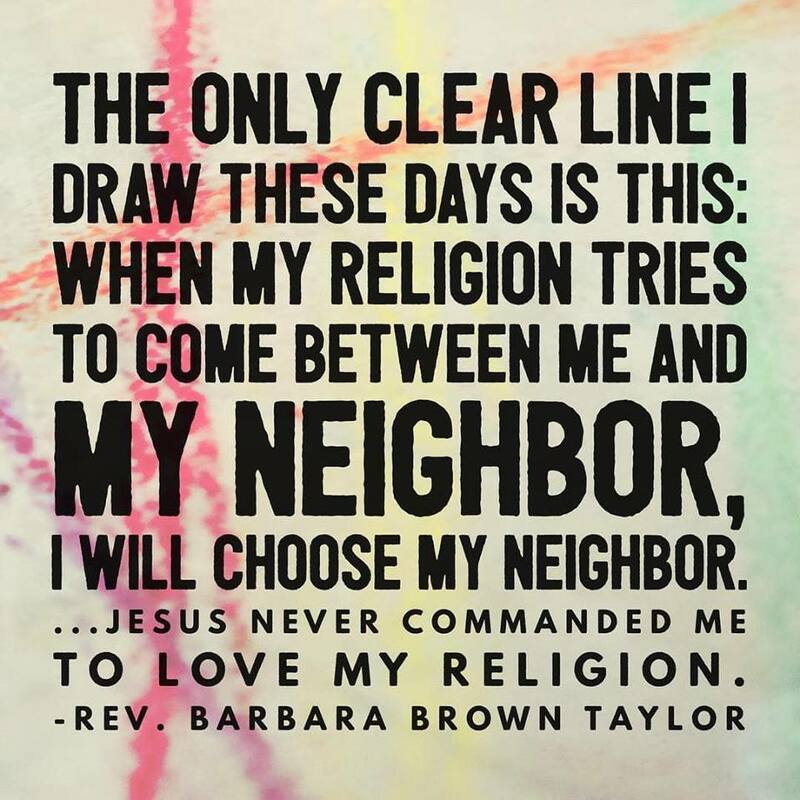 One way of talking about it is that we have decided to base our world on love, not hate, as asked of us, indeed required of us, by our Creator. A nother way of saying it is that we have decided to embrace inclusiveness, not exclusivity. Or we can talk about Truth. A “tipping point” of people decided once and for all that we are going to base our life on the Truth that all life is connected, all that is Created by God, is an aspect of God and is God and therefore worthy of respect. One example of the emerging new way of thinking. 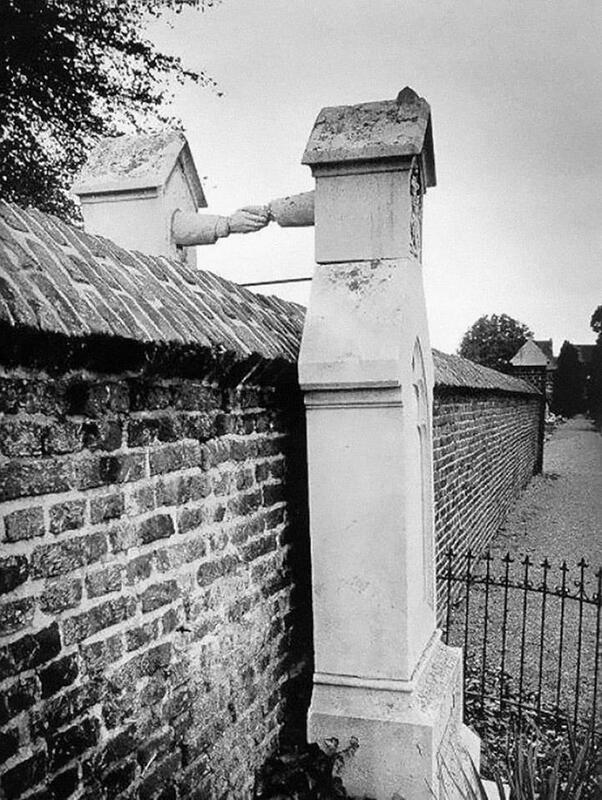 Humans have perpetrated great horror on each other as a result of our ability and willingness to divide the world into “our” social group and the “others.” The divine knows no such separation. 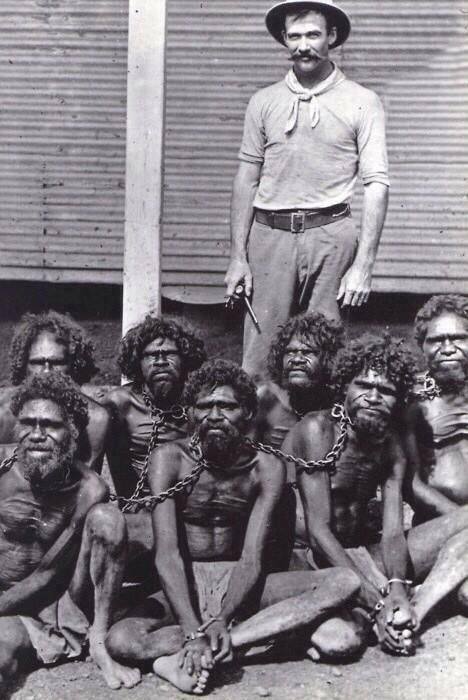 This picture is of Australian aborigines “owned” by their enslaver under the “Flora and Fauna Act” which was finally repealed in the 1960s. Energetically, we globalized. We made the commitment to get over the tribal thinking that has stifled us for decades. Ultimately, nothing will be the same in our world. The ramifications of this newfound commitment to universal life is profound. The actual unfolding of our new reality though will likely take years or decades to fully manifest, if we have that kind of time. 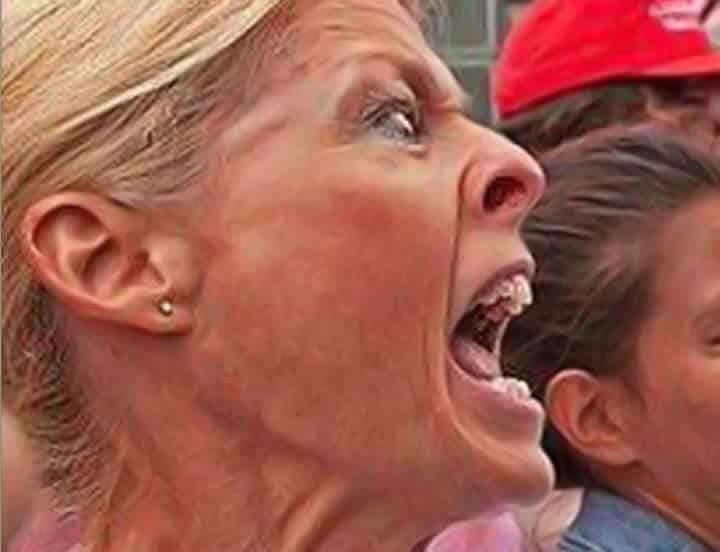 Unfortunately, while white supremacy and other hate-mongering may be going the way of the dinosaurs, all us dinosaurs are still at risk from a meteorite strike to end it all. But now at least we have a fighting chance. We are finally on the right road; and we ought to celebrate that fact.The truly great news is that this new human commitment to creating in the physical world from a place of Love is no longer just the pipe dream of a new advanced souls, an occasional side trip of a brave person here or there, or the intellectually-based statements of people who are willing to talk the talk but not walk the walk. It is the intent within our hearts and an intrinsic piece of the group mind that connects us with our God. At the same time we cannot be complacent because we’re not out of woods yet. For one thing, in the immediate next period of time there will be ongoing massive amounts of suffering. The meditators in this room will recognize that periods of rapid spiritual growth can be confusing in a VERY uncomfortable way for individuals. Between the old ways that are no longer functional and the new ways that have yet to manifest there can be an ocean of chaos, disharmony, and even danger. Multiple this dynamic a hundred thousand fold and you might recognize our current society. For another thing, there is this other little issue that has to be resolved immediately if human animals are going to survive on the Planet, if we are indeed going to avoid a meteorite, nuclear war, shifting of the poles, whatever. Now that the consensus is we must base our relationships on Love, we have to decide whether those Love-infused relationships extend not only to other humans but to non human animals, to plants and our waterways, and to Mother Earth itself. In some ways, this is the greater challenge in the sense that it requires the most insight and the greatest behavioral changes. Let me start by talking about where we are coming from, our shared history. 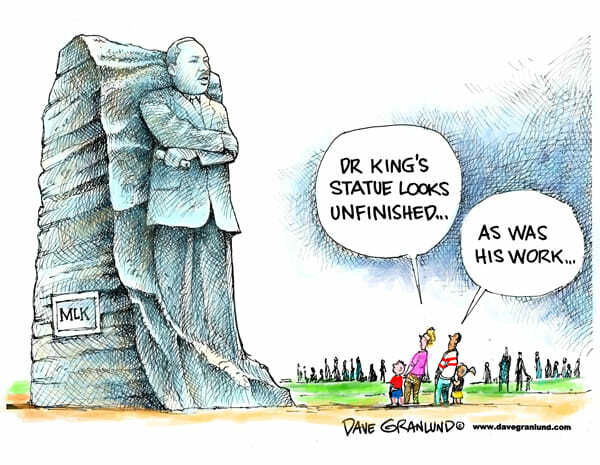 Art by Dave Granlund. Image used in accordance with Fair Use Principals. You may or may not have noticed a recent increase in the attention being paid to history. By nature human beings are story-tellers and so we often construct narratives about our past to help us make decisions about our present and our future. Individuals keep family photo albums and diaries; schools display trophies won by their sports teams and offer history classes about our culture; organizations have archives, cities have their statues and historical sites, churches have their relics, and so on. 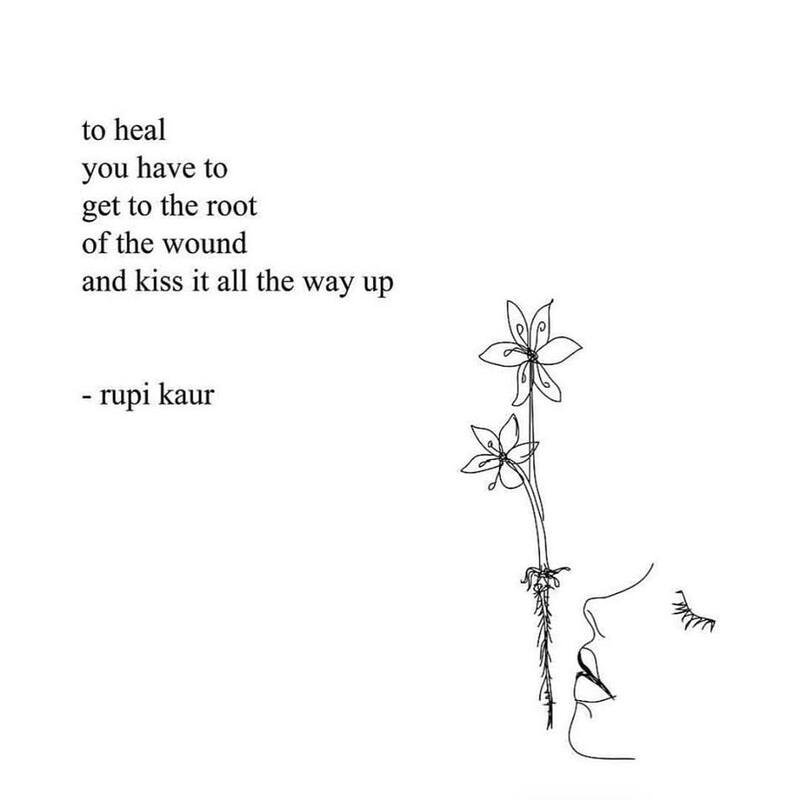 Poem and illustration by Rupi Kaur. Shown in accordance with Fair Use Principals. In the United States in the last few months there has been an ever-growing retelling of our history taking into account other perspectives than have previously been brought into view. I’m not talking about those who are resisting the change process of our world by trying to rewrite the existing history books in order to impose their distorted perspective, “whitewash” our collective narrative (pun intended). These are the people who say the holocaust was no big deal, the founding fathers enshrined the Christian version of God in our political structures, slaves actually liked slavery, that kind of nonsense. I’m talking about the larger majority of us who are trying to flow with the changes and expand our awareness of a greater Truth than previously contained in history books. In the sixties, when I studied the history of African-Americans in the United States and the history of women around the world, the resources for these stories were few and far between. There were only a handful of books on the subjects, almost no sources of information in mass media. Most people would give me a blank stare when I would even mention that there was something called women’s or Chicano or African-American history. Even my most ardent friends usually believed I was being weird and eccentric in thinking it was important to know more about history from the perspective of marginalized groups. In these digital days in the United States we just finished an entire Black History Month and in a few days will complete an entire Women’s History Month in which commercial breaks for nightly mass media programming on our screens have been awash in images of the women and ethnic minorities whose contributions to our culture were heretofore minimized or overlooked, who are now being celebrated as pioneers and heroes and reclaimed by our collective story. For spirit we know that time is an illusion. The body, however, operates in time as well as space. So why is there this increased spotlight on history? Why now and why to this extent? And what has this got to do with spiritual growth? My take is that in order to create a world based on love as we have decided to do, we have to bring up the energy of not-love in order to let it go. We can do this by creating more situations where we feel/think/act in a hateful manner towards ourselves and each other. We can suffer through many more experiences of what doesn’t really work and we don’t really want. I am certain many in the United States will continue to indulge in that type of painful way of healing. However, many of us are pretty sick of using this method to change the energy. So we have turned to an alternative method of healing ourselves. When we tell each other that those who ignore history are doomed to repeat it, we are reminding ourselves that by viewing the past using the perspective of Truth we can break the karmic chains and grow beyond an outdated version of ourselves. As a society we can increasingly have love be the “new normal” by looking with new eyes at the experiences we have already created individually and collectively; and use those trips down memory lane to forgive ourselves for our trespasses, and forgive others who have trespassed against us. Looking at human history however, can be tricky and potentially very disturbing unless your goal is changing rather than perpetuating problems. Like everything else in the human experience, our brains like to dichotomize our experience. We fill our stories with heroes and villains and repeat a lot of myths that are very far from the Truth. To use history as a source of healing, you have to look at the times we have been cruel and unjust, as much as the times we have been kind and brave. We have to tell the stories about our family or country or other group who have been mean and spiteful and stolen things as well as the times we have been generous and kind and produced great artists and interesting civic leaders for the benefit of our communities. The Osage murders are said to be the FBI’s first big case. 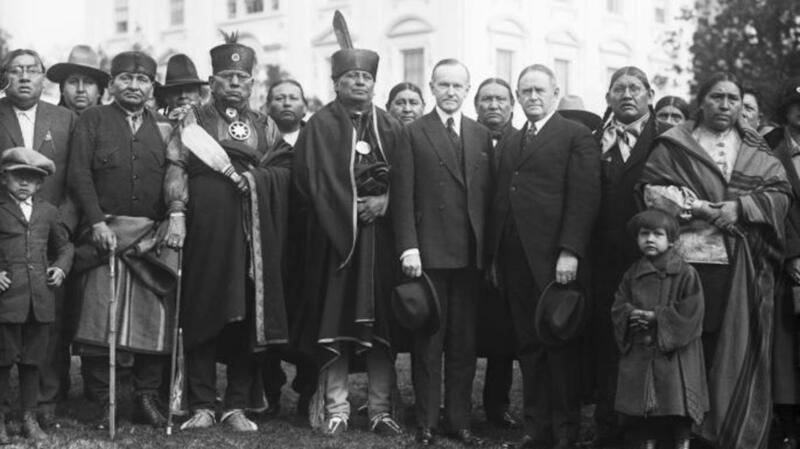 This picture is of tribal leaders, FBI staff and President Calvin Coolidge. It is from the Bettmann Archives and used in accordance with Fair Use Principals. Recently there has been a rash of stories coming into the light on social media that have helped the healing of our national soul. One such is of the Osage Indians who originally were forced from their ancestral homelands in Kansas to a rocky, presumably worthless piece of land in NE Oklahoma. When oil reserves were discovered in Oklahoma, the Osage became some of the wealthiest people in the country. Some 50 years later about 60 or so of the Osage were then systematically robbed and murdered so that their riches could be stolen from them again, this time their personal wealth rather than their real estate holdings. 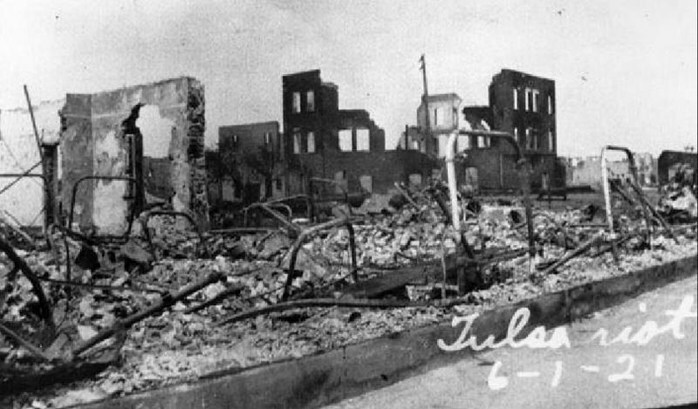 The Tulsa Riot fire-bombings were also said to have been the fruit of years of resentment by whites towards the area nicknamed the “Black Wall Street.” Jim Crow laws and segregation resulted in African-Americans in this area amassing a great deal of wealth in a manner that strengthened their community bonds. Another resurrected part of the American saga that of late is finally being talked about is the Tulsa Riot of 1921. After blacks tried to ensure that one of their community members would not be lynched, a 35 square block of an all-black-occupied section of Tulsa was actually fire bombed by private airplanes owned by white folks worried that they were seeing a “black rebellion.” Somewhere between 300 and 3000 blacks were killed, and at least 1500 homes were destroyed leaving thousands homeless, in what is now being acknowledged as the worst riot in American history. We do not know the actual body count with any precision because this event was systematically covered up by white authority figures and did not make it into the history books we use in American schools. It bears emphasizing that this method of healing the present and future by reexamining the past is effective only if we look at stories from a place of neutrality with acceptance for all involved who played a part. Your power to change your reality is in the present moment. View the past as needed, but do not let yourself get lost to it. “Perfect pictures” is a term for a certain type of very common programming that we have accepted into our consciousness, often originally for very good reasons. Perfect pictures can be quite deadly as they can act like a invisible Plexiglass ceiling that interferes with our evolving spiritual growth. They are a rigid view of how the world around us is supposed to be. Since we and the world seldom measure up to these expectations, they become a source of ongoing invalidation and suffering. You have to get beyond the false dichotomies with which we view the world, those troublesome perfect pictures to which we are so addicted. In actuality all human society is pretty damn flawed. Evil is everywhere in our collective narrative. I think most of us can all agree that the actions taken by National Socialism in Germany, i.e. the Nazis, during the last World War were evil. It is to our great credit in the United States that we were a big part of stopping that horror. But can we let ourselves know that we also had a role in setting up that history lesson? Why are we not talking about the fact that the Nazis recruited IBM to design the new punch-card system that allowed them to track Jewish lineages? Truth be told, the numbers tattooed on concentration camp residents were an extension of American technology. How convenient that we have forgotten that when US soldiers invaded Europe in 1944 not only were they using tanks and jeeps produced by American Motors, they were battling an enemy also driving tanks and trucks produced by 100-percent GM-owned subsidies. The cozy relationship between US business interests and the Nazis was acknowledged by Hitler maintaining a portrait of Henry Ford on his office wall in Munich. Ford and the senior executive for the GM factories in Germany were awarded the Grand Cross of the German Eagles for “distinguished service to the Reich.” It is well accepted that Hitler would not invaded Poland and killed approximately six million people without the new synthetic fuel technology provided by GM. You have all heard the saying that history is written by the victors. What you may not have heard is that many historians think that this saying which is usually attributed to Winston Churchill, was actually coined by Hermann Goering, one of the greatest criminals of Nazi Germany. If the Nazis and their allies had won the war, our history books would be accounts of their supposed glorious and righteous achievements. 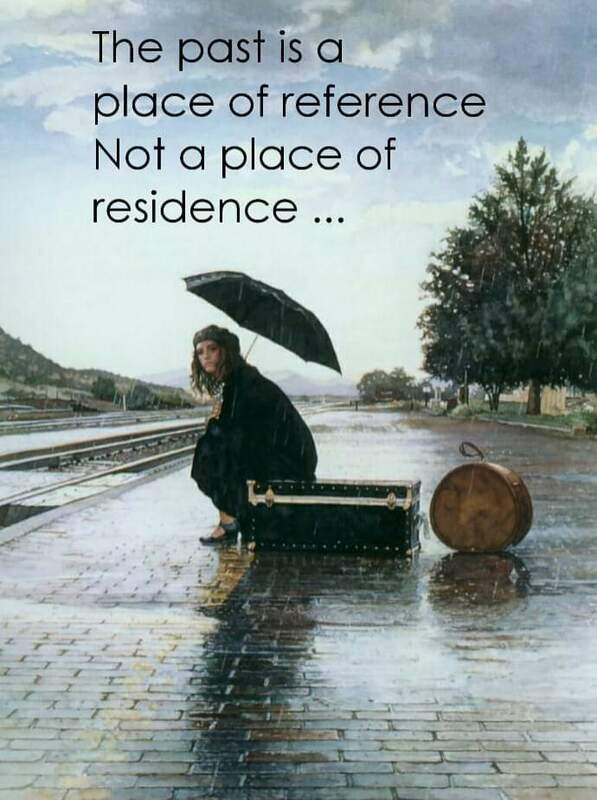 Right now in 2019, you are seeing a lot of folks trying to reexamine the past, but too often from a place of judgment that keeps them stuck in their sense of entitlement or victimization, depending on what role they have most recently been playing. 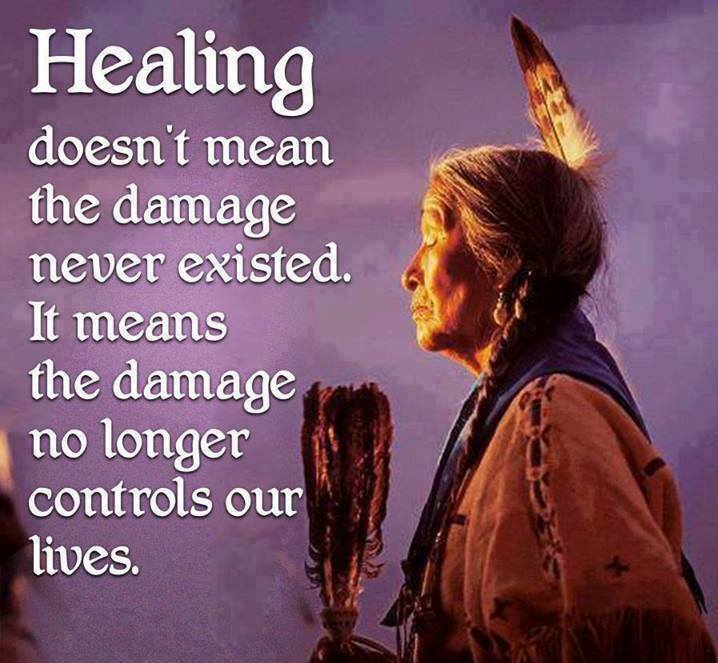 It heals nothing; it does no good to perpetrator(s) or victim(s) to continue to see their experience as one-sided. You HAVE to be in the center of your head, you HAVE to be coming from a place of detachment to benefit from healing through a historical review. 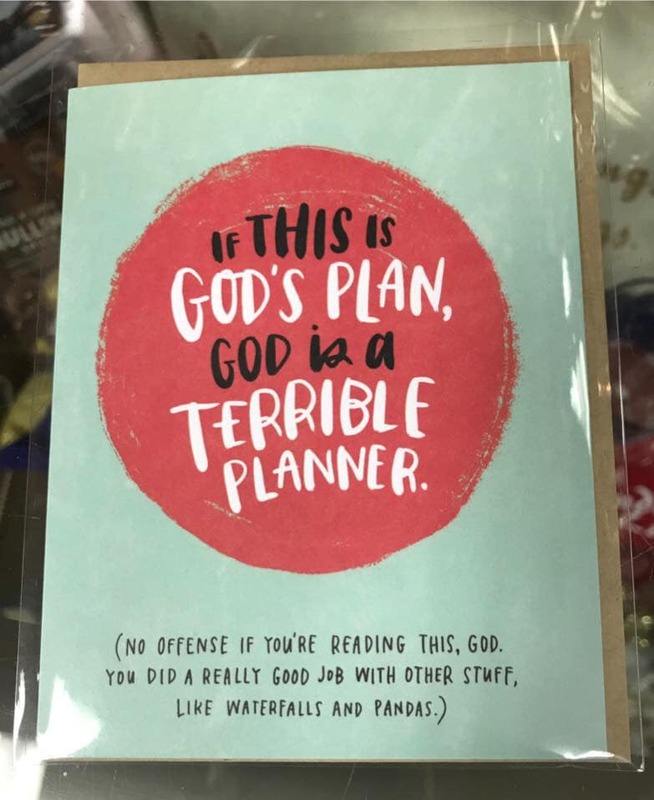 This is a humorous depiction of an all-too-familiar confusion in the religious thinking of many. We are here on Earth to learn to co-create with God. It is neither entirely up to us as some believe in their egocentric way. . .nor is it entirely up to the divine who honors our freedom to screw up as much as we need or want to learn our place in the universe. None of us are perfect. Only God is perfect. All we can do is commit to bridling our own maladaptive impulses and approaching the world with the clarity of love, as best we understand it. So here we have the Christ, the embodiment of the divine on Earth, reminding us to get over our perfect pictures about human life, because the only wholeness is the All-that-This. Sometimes one can find Truth in the most unlikely of places. 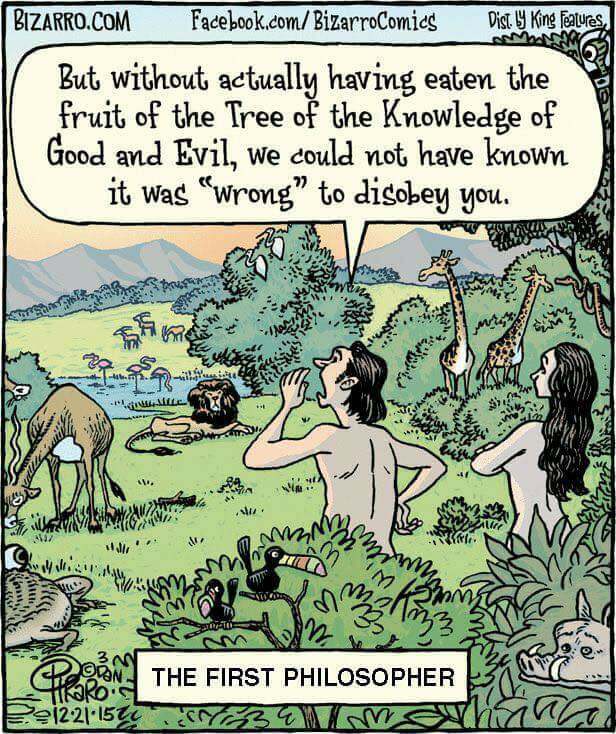 Here comic artist Dan Piraro captures both the prevalence of humans dividing our world into good-and-evil; and its place in our learning curve as we seek return to the divine. Image used in accordance with Fair Use Principals. Finally, I want to talk a bit about violence. This has to do with the road ahead, the next growth period, the next issue about which the consensus reality must come to terms. Violence is a particularly harsh form of trespassing against life, one that promotes a great deal of suffering. Violence has always been on the planet. 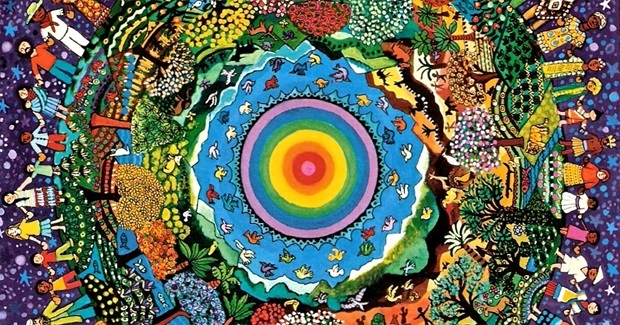 We have MUCH work to do to stem the tide of violence against holy Mother Earth. 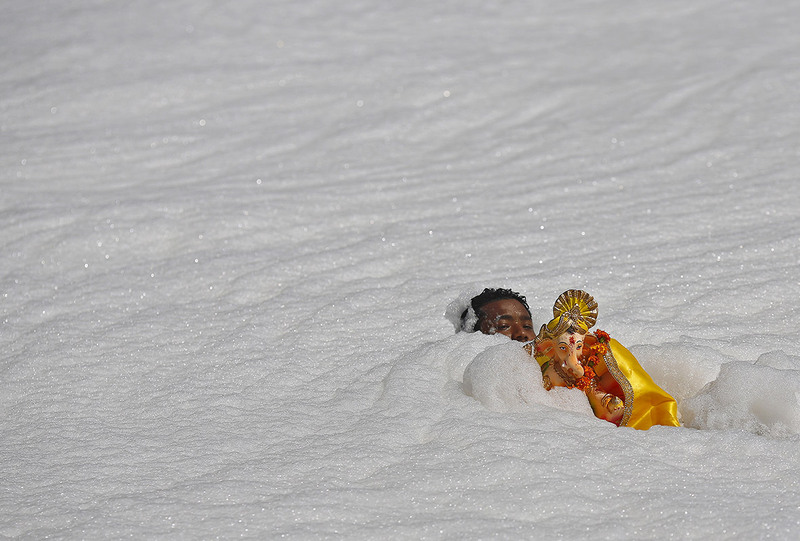 In this image a man seeks to honor the Hindu god Ganesha through the incredibly polluted waters of the river Yamuna in New Delhi, India, Many of the life-giving qualities of our waters in the United States have also been destroyed by humans. There are many forms of violence including what we are currently doing to other life on Earth, but let’s focus right now on killing and over forms of overt harm done to each other. Human beings learn by doing for the most part, and so we have been at war in a multitudinous fashion for thousands of years. Being prone to violence is really almost a part of our DNA. Currently, the United States is the major source of direct violence around the globe, in part because of the role we assumed after World War 2 of being the peacekeepers of the world. According to a new report by Brown University since 9/11 the US has spent nearly $ 6 Trillion dollars in 76 countries or about 39% of all nations, resulting in the death of around 500,000 people. This does not include the nearly 500,000 people killed in Syria. In many regards those of us ins the United States have the most to do, the most we must change. Because guess what? This need to kill and hurt others is going to change. It has to! Violence is not consistent with a world based on Love. 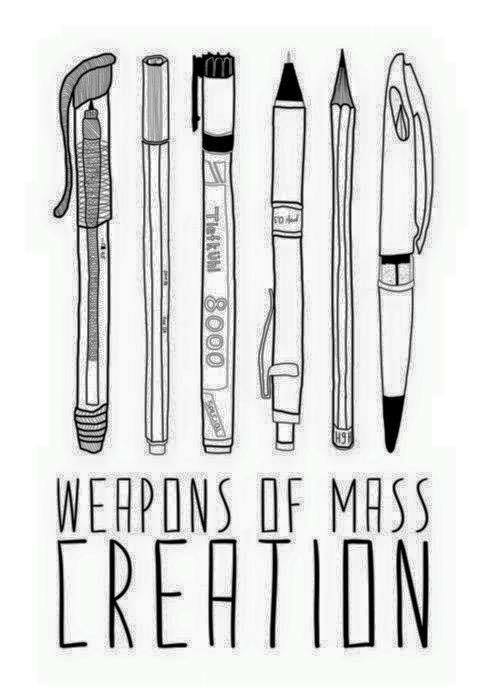 Either we are going to be moving violence out of our human repertoire . . .or we are going to be moving on. The decision about which trajectory we will be using will likely be made this year by all of us on a spiritual level. Therefore, I want to mention another great teaching from the Christ. Some might argue this is greatest of Christ’s teachings, but one that is routinely misunderstood: Turning the other cheek. In Luke Chapter 6, Verse 29; and Matthew Chapter 5, Verses 38-42 Jesus states that if someone slaps you on one cheek, you are to offer them your other cheek. If someone steals your coat, offer them your shirt. So what is that about? I’m not going to say much about this crucial piece of information that ironically, has been the subject of thousands of fierce arguments over the centuries and dozens of wars. On the other hand, I cannot walk away without some commentary on what it means to choose nonviolence in the current time of unremitting violence. Violence is increasing exponentially in our world of overt hatred towards other groups in the world, compounded by the problem of shrinking resources as we battle over the scraps left available in our dying natural world. I think we are going to see more wars, uprisings and mass shootings before we see less. I believe that 2019 will be the year in which the consensus reality decides whether or not there will be nuclear warfare or some other form of extinction event(s) happens for human. So what Truth do each of us need to understand and build upon in our individual lives to be a part of the solution to the group problem that is violence? The Christ is quoted as talking about turning one’s cheek and offering more clothing to someone who forcefully disrobes us, in order to not resist evil. When Jesus himself was disrobed and tortured and crucified he was largely quiet. I believe he did this not to model for us being passive. He was and is God on Earth. He chose to not fight back but he participated fully in the events surrounding him. He could have easily killed his tormentors with a single glance, a singular thought: Romans, Jews and everyone else. Instead, he chose not to even utter a harsh word. He did remind all present that the scene being played out was done at the will of Almighty God. 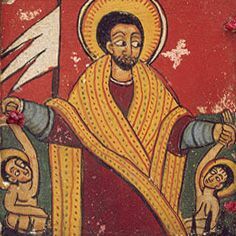 This Black Jesus image is from Ethiopia around the 17th or 18th century CE. Ethiopia was the site of one of the earliest and most robust of Christian communities. Jesus of Nazareth was of Mediterranean descent and not the “white guy” often depicted in Western culture. The Christ did not model for us turning his cheek as some sort of sophisticated form of rebellion, as some religious types have argued. What he demonstrated for us is nonresistance to that which was asked of him by his Creator. In choosing to surrender to the All-That-Is even at the cost of excruciating, unimaginable pain that would have caused even the kindest of souls to act from hatred, he transcended physical boundaries, and demonstrated a spiritually-based reality that humans had to that point believed was not possible He refused to return evil with evil. Rather, he remained loyal to the word of God, which is Love. Many of us are dealing with our personal crosses right now, and many more will be shortly. 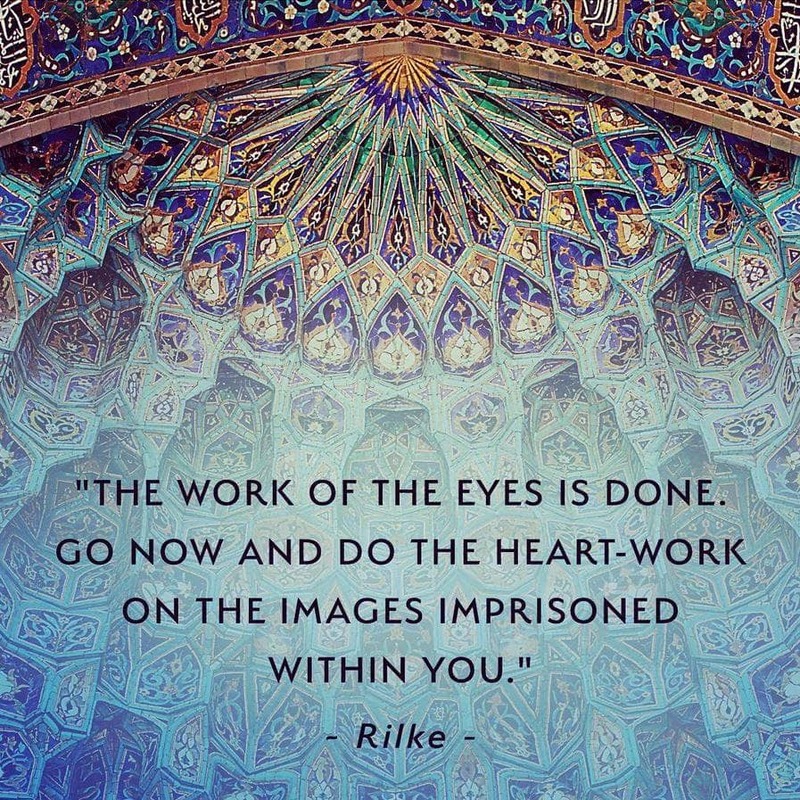 If you find yourself a part of a world awash in a sea of violence, whether you do this by coming to terms with your own past, having ongoing struggles with others in present time, or being the witness for others in various stages of working through or getting stuck in their own narratives, remember the end game is Love. 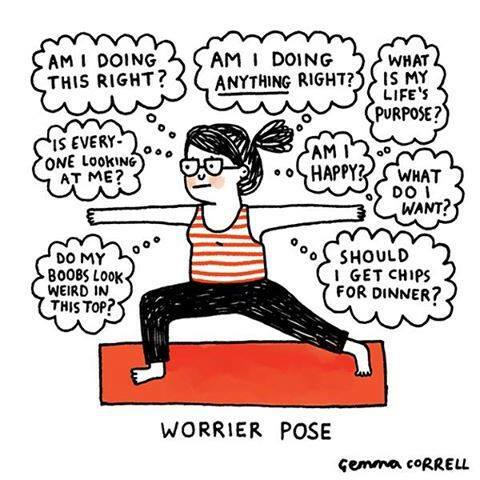 Whenever possible, view the world from the center of your head, that sweet spot of balance between dichotomies where you have the best chance of living a path of nonresistance and acceptance. Heal the blocks that keep you from knowing your truest self as much as possible. And above all, follow the ways that allow you to regularly communicate with the God of your Heart, that aspect of the divine that lives within you. Your answers for all the challenges facing you will be there. ← Dreaming of Things to Come; Bring On the New World in the New Year!